Uniquely shaped Scrubbing Heads guarantee the right tool is always within reach. The heads are interchangeable, scratch-free, and odor/stain resistant. Scrub Daisy's ergonomic Wand dispenses the perfect amount of soap each time you press its soft touch leaf. The accompanying Base features a built-in suction cup and drain. Convenient storage provided by the Vase and stainless steel Valet ensure your out of use accessories dry quick. We want to keep our customers smiling just as much as our products do – We also want this to be the last dishwand you ever need to purchase. 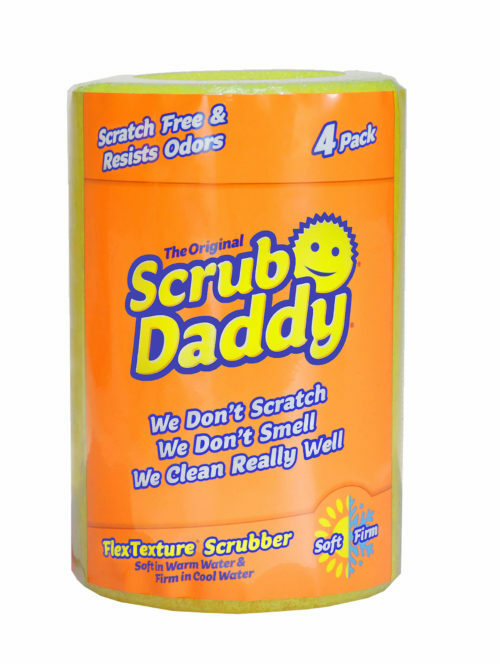 To ensure your complete satisfaction, Scrub Daddy honors a lifetime warranty on all non-replaceable Scrub Daisy parts. 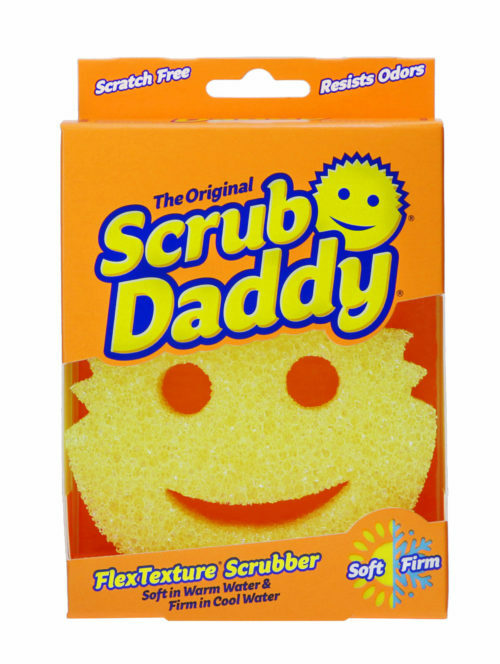 In exchange for the damaged/malfunctioning part, Scrub Daddy will provide a complimentary replacement. *Terms and conditions apply. Please call 844-35-SCRUB(72782) for details. All components are top rack dishwasher safe. Scrubbing Head life span is approx. 2-3 months under average conditions. Our All Star Kit features a handpicked selection of products perfect for sharing- or not! 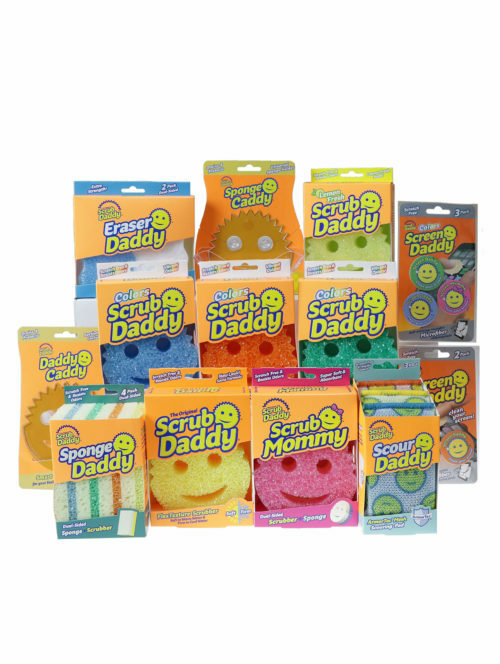 In this bundle you will receive one of each of the following: Scour Daddy 3ct, Eraser Daddy 2ct, Scrub Mommy 1ct, Sponge Daddy 4ct, Scrub Daddy Original 1ct, Scrub Daddy Colors Orange 1ct, Scrub Daddy Colors Blue 1ct, Scrub Daddy Colors Green 1ct, Lemon Fresh 1ct, Screen Daddy 2ct, Screen Daddy Colors 3ct, Daddy Caddy, and Sponge Caddy. Big Daddy is a solid block of the FlexTexture® foam you know and love. Use him whole for large applications or trim with a serrated knife for a precise shape. 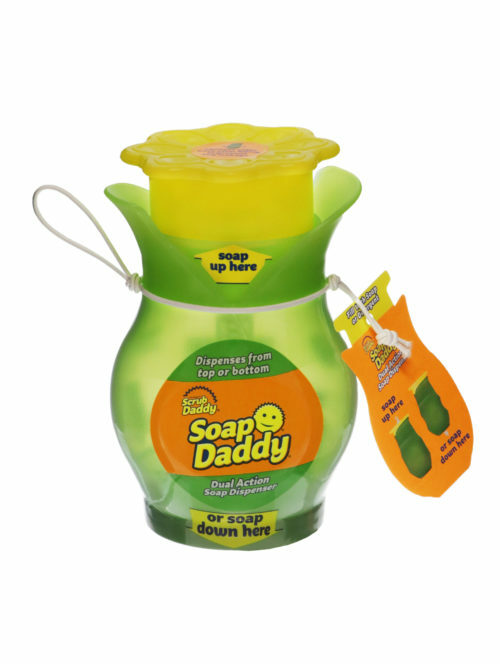 Measures 3x3x5"
Fill Soap Daddy with your favorite detergent and enjoy two ways to suds! Press the top to apply soap directly onto your sponge or squeeze to dispense from the bottom. Perfect for tall pots, pans and even hands. 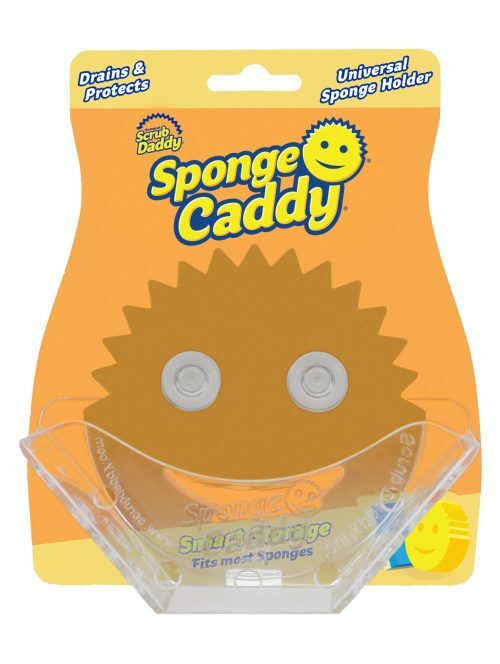 Daddy Caddy is the perfect place to store your favorite sponge between uses. An open design promotes draining and drying without taking up precious counter space. Two suction cups ensure a secure hold to most smooth surfaces. 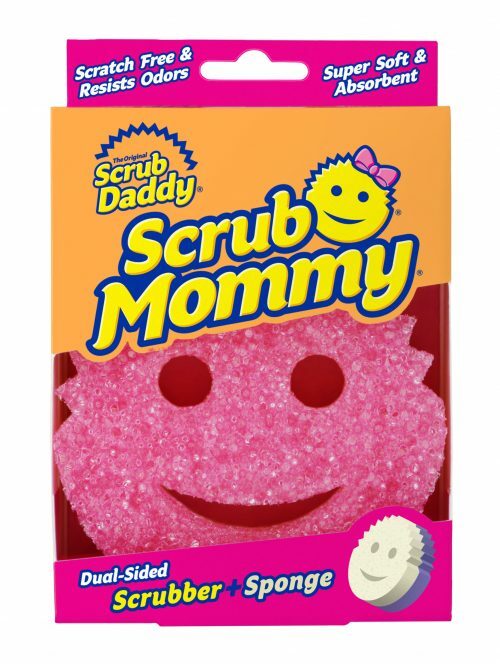 Fits one Scrub Daddy or Scrub Mommy sponge (not included). Interchangeable Replacement Head. Three options available! 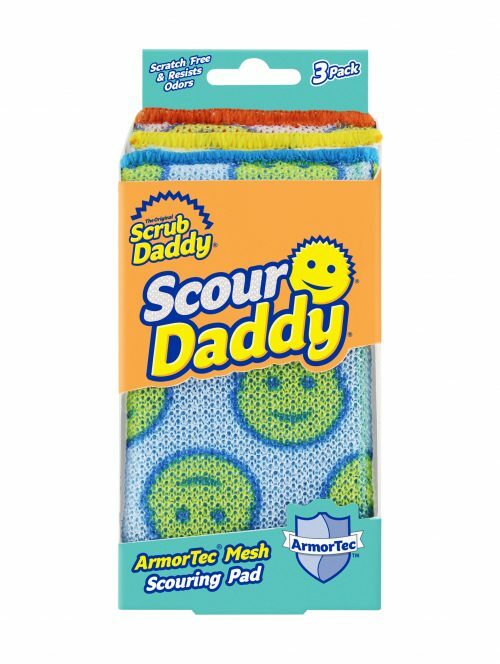 Scour Daddy is the stronger, more absorbent scour pad. Texture changing FlexTexture foam inside resists odors and provides structure. ArmorTec mesh on the outside is durable and scratch-free. 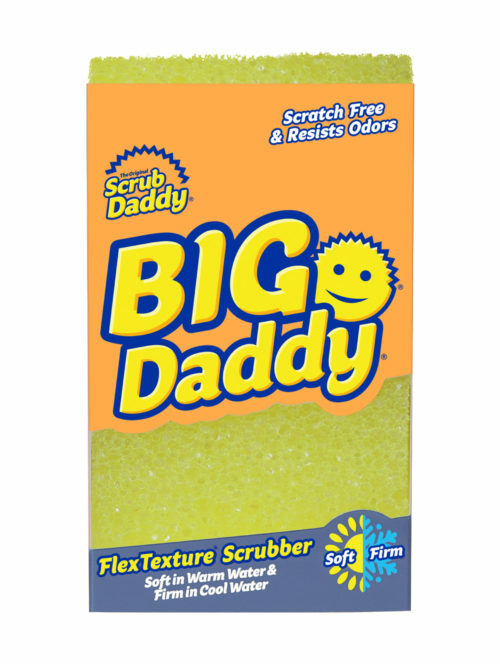 Scrub Daddy's FlexTexture® changes based on your water temperature! In warm water he's soft and more absorbent. In cool water he's firm for scrubbing seriously stuck-on messes. He's ergonomic, doesn't scratch, rinses free of debris, and resists odors for up to 8 weeks! Two suction cups secure Sponge Caddy to most smooth, clean surfaces. An open design promotes draining and drying between uses. 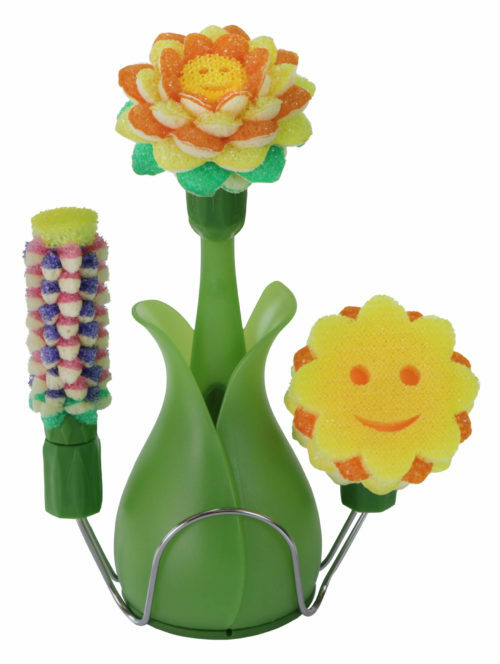 This universal holder can accommodate one Smile Face Sponge® or several traditional shaped scrub pads (not included). 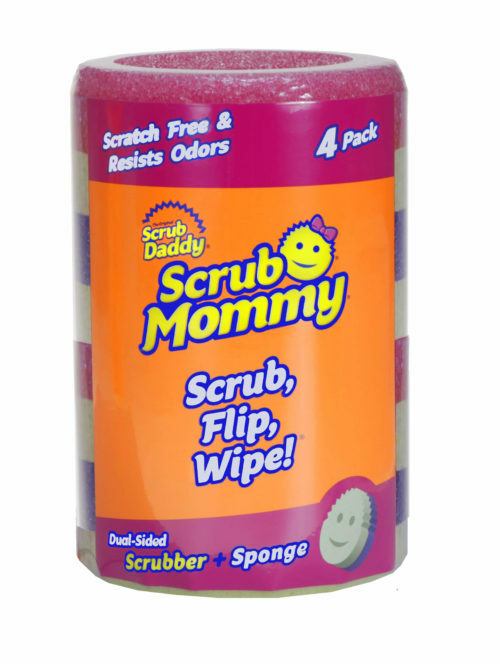 Scrub Mommy features the same ergonomic shape as The Original but in a dual sided design! Her purple and pink FlexTexture® side changes based on your water temperature. Soft in warm water and firm in cool. Her spongy ResoFoam® side is perfect for creating a soapy lather and wiping up spills. She's odor/stain resistant and can be sanitized on the top rack of your dishwasher.